The browser maker wants to put a price on online users' attention with Basic Attention Tokens as a substitute for traditional ads. 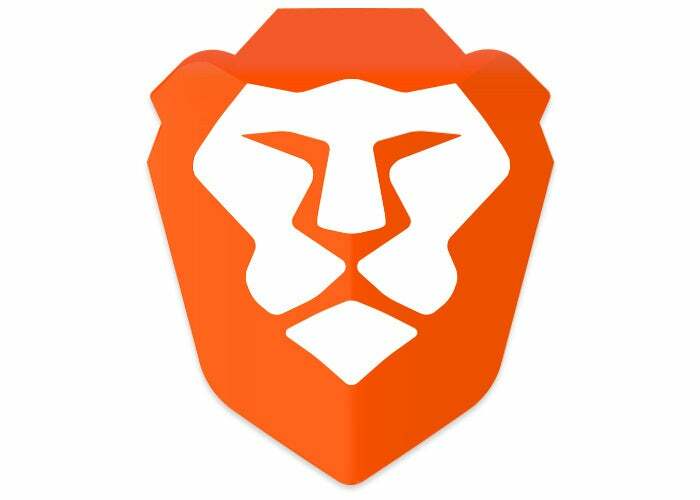 The builders of the Brave browser are trying to put a price on online users' attention with blockchain-based tokens that will be traded between publishers, advertisers and those willing to view ads. The project, dubbed "Basic Attention Token" (BAT), will offer a substitute for traditional display advertising, claims Brave Software, the browser's maker as well as the force behind BAT. "Digital advertising is broken," argued the BAT team on its website. "It is a market filled with middlemen and fraudsters, hurting users, publishers and advertisers." Brave aims to change all that with a new ad ecosystem that relies on trading of digital tokens. "Advertisers will give publishers BATs based on the measured attention of users," the BAT team argued. "Users will also receive some BATs for participating. They can donate them back to publishers or use them on the platform." Brave and BAT can make this pitch because the online advertising industry, and the sites that rely on ads for operating revenue, have come under pressure from ad-blocking technology, whether added to or baked into browsers, that means to scrub some or all ads from the web. The latter got Brave the most attention when it debuted in January 2016. Brave's business model relied on scrubbing websites of ads and ad tracking, then replacing those ads with its own. The latter would be aimed not at individuals but at the anonymous aggregate of the browser's user base. If enough people gravitated to the browser, Brave said it would share its ad revenue with users and content publishers. Brave's strategy raised hackles amongst publishers. Several filed a complaint with the Federal Trade Commission (FTC) in May 2016, alleging that Brave and others violated federal law prohibiting deceptive practices and those barring unfair competition. The newspapers objected to the idea that a micro-payment system -- like the scheme that Brave first floated, dubbed "Brave Payments" -- was a suitable replacement for existing ad revenue. Brave Payments operated with the Bitcoin digital currency, and during a preview last year, were funded by users. Website publishers were to be paid from users' virtual wallets, and Brave was to take a 5% cut of each wallet. BAT, however, will supplant that system this year, Brave said, in its roadmap for 2017 and beyond. BAT's foundation will be user attention, or put another way, time spent viewing ads and content. "The purpose of the token is to attribute value to attention," Brave said in a June post to its blog. Brave users who opt in to receiving ads will be rewarded with BATs, which are recorded and tracked by a ledger baked into the browser. It's unclear what metrics Brave will use to determine attention, but the company put forward a pair of possibilities in an online explainer: "The number of total views of advertising content for a certain number of seconds. Or, points assigned on the length of a view," Brave said. Any measurement will be limited to the active tab, so ads in an open-but-in-the-background tab won't count toward a user's BAT allotment. Although those tabs - and any ads under Brave's model - would have been viewed when the tabs were originally opened (triggering the more traditional metrics of a "page view" and a "visit"), they would garner little credit with Brave and BAT. Buddy, can you spare a token? Brave described BAT as a "digital ad exchange" in a technical white paper. Tokens will be part of that, since they are exchanged between advertisers, publishers and users. In BAT, advertisers acquire tokens -- Brave says little about this step, but the tokens will almost certainly be purchased, perhaps with Bitcoin -- and then package the tokens with ads. The token + ad combination is locked until a user views the ad, at which point the token is unlocked, a small part of its value is stored in the user's digital wallet and the rest is forwarded to the publisher whose website ran the ad. Users may pass on their tokens or token shares to publishers they designate, as a way to support selected sites. Alternately, users may retain the tokens they earn, then exchange them with website publishers for, say, premium content, just as some now pony up money to access content behind a pay wall. Micro-payments like this have long been suggested as an alternate to funding-through-advertising, but have made virtually no impression on users or the Internet in general. Pay-for-content has gotten more traction, but that, too, has been a difficult row to hoe, with only a few publishers, albeit more individual commentators, able to operate on subscription revenue. At the end of May, Brave sold 1 billion BATs to a group of investors, raising about $35 million. It's unclear what those tokens will be used for, although it's possible that the buyers may later sell them to advertisers interested in trying out the Brave-BAT system. As of June 1, the day after the sale of the billion tokens, each BAT was worth approximately 16 cents. Since then, the value fell as low as 8 cents, but then climbed. As of yesterday, Aug. 21, a BAT was worth 18 cents. How that translates into revenue for publishers and BATs in Brave users' digital wallets is unclear. Along with the 1 billion BATs Brave sold, it set aside another 500 million BATs: 200 million are reserved for Brave Software, while the remaining 300 million are to be used for what the firm called the "User Growth Pool", or UGP, as a way "to incentivize users to join the platform." According to the BAT roadmap, those grants are to be made in the second stage, plotted for fall of this year and the winter of 2018. "We anticipate that when users download the Brave browser they will be rewarded with tokens," Brave asserted in its white paper. "The final number is not yet determined. Potentially, this could prompt tens of millions of users to join." Brave Software has repeatedly dissed the current advertising model as filled with parasitic interlopers that pocket money destined for publishers and hijack users' privacy. "The typical publisher faces both a shrinking market for the ad-blocker-free attention, and a shrinking slice of the advertising revenue pie due to the multitude of third-party players who act as economic middlemen in the transaction," Brave argued in its white paper. Under its model, Brave would be the sole "middleman" - an irony that the company does not dwell on - but people would be smart not to dismiss niche players like Eich's outfit. "Smaller browsers have a place in the introduction of ideas," Lizzy Foo Kune, principal research analyst at Gartner, said in a recent interview. "The smaller browsers were the impetus to the ad- and tracker-blocking conversation. That was how this all got started in the first place." While Brave may have been the first browser to natively block all online ads, others will follow, Foo Kune predicted. "If we look at the way things have been going, it's a fair assumption that the next step will be the browsers themselves, including the big browsers doing it," she said. In fact, Google will introduce an ad-blocker into Chrome later this year, while Apple will include an anti-tracking feature in the next version of Safari for macOS next month. Brave explains how its BAT-based system works.